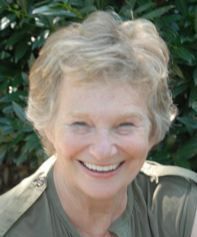 Louise W. Wiener focuses on the connection between attendance and preschool through early elementary years. After an early career promoting the arts within larger public policy issues, Louise began her early education work under the auspices of the National Head Start Association and has worked closely with Head Start agencies for more than 25 years. Louise founded Learning and Leadership in Families Inc., in 1995, a Washington D.C.-based non-profit. In 2000, through LearnLead, she launched the Perfectly Punctual Campaign (PPC), a two-generation strategy to promote the importance of consistent on-time attendance from preschool forward. PPC is now integrated into the Attendance Works’ Early and Often preschool toolkit. As a result of her leadership in a National Council of Juvenile Justice study in Atlanta, Louise was elected to the Advisory Board of the Georgia Board of Courts Administration, the board of United Way Atlanta, and Leadership Atlanta. Louise served as the Special Assistant for Cultural Resources to the Secretary of Commerce in the Carter Administration. She founded a database publishing company, Arts & Sports USA, which she sold to Rand McNally in 1986. Louise was Director of Special Projects for the National Learning Center / Capital Children’s Museum, where she focused on supporting teachers and parents to use museums as a way to engage young children in learning. Louise received a BA from Bryn Mawr College in the History of Art and MA from George Washington University in Education Leadership.